A good example of the problems of science journalism we discussed in the last post can be seen in this month’s media treatment of the important results from the NASA Satellite Gravity Probe B. After many years of frustration, the experiment has reported important evidence in support of two distinct predictions of the general theory of relativity – the geodesic effect (a distortion of spacetime by the earth) and frame dragging (caused by the rotation of the earth). See here for details of the experiment. The result is a fantastic achievement. It offers important support for general relativity, a theory that underpins a great deal of modern physics, from our view of the origin of the universe to our understanding of black holes. It’s worth noting that such tests are rare and notoriously difficult (unlike the case of special relativity) and sincere congratulations are due to Principal Investigator Francis Everitt and all the team who worked so hard and so long to produce this important result. However, I was quite disappointed at the way the result was portrayed in newspapers and in science magazines. Almost without exception, the experiment was described as ‘Einstein proven right‘ – see for example this article in the prestigious journal Science. 2. The constant personalization of the theory of relativity with Einstein creates the impression that the theory depends upon one scientist only, and devalues the work of hundreds of relativists since. For the above two reasons, most physicists would have framed the result as ‘general relativity passes two important tests’. As a physicist and a science writer, I was surprised by your headline ‘At Long Last, Gravity Probe B Satellite Proves Einstein Right’ (News Section, Science, May 5). To be sure, the Gravity Probe B experiment is a fantastic achievement that offers spectacular evidence in support of two distinct predictions of the general theory of relativity. This is important support for a theory that underpins a great deal of modern physics, from our view of the origin of the universe to our understanding of black holes. It’s also worth noting that such tests are rare and notoriously difficult (unlike the case of special relativity) and sincere congratulations are due to the team who worked so hard and so long to produce this important result. However, your headline is problematic for anyone with a knowledge of the scientific method or an interest in the philosophy of science. In the first instance, it is a fundamental tenet of science that no experiment can ‘prove a theory right’, as Einstein himself (and Karl Popper) frequently acknowledged. Even the most ingenious experiment can only offer evidence in support of a theory –‘right so far’ (and this is leaving aside the difficult question of the interpretation of scientific data). The error is not simply a question of headline shorthand as it is repeated in the opening sentence of the article; ‘..a ..NASA spacecraft has confirmed general relativity’. 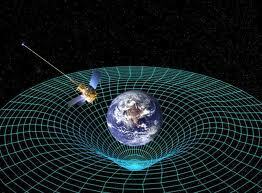 Second, it is a pity that relativity is so often portrayed as the work of one great scientist. Granted, it is a matter of historical record that the general theory of relativity was first formulated by Einstein singlehandedly. However, a great many mathematicians and theoretical physicists have explored, deepened and refined the theory since that time (obtaining solutions to the field equations and deriving concrete predictions from these solutions, for example). Framing the story in terms of Einstein alone ignores this work, and implies that the entire edifice of relativity is dependent upon one scientist. In sum, it is no easy task to summarize a groundbreaking scientific experiment in a brief article, but most physicists would frame this important result as ‘general relativity passes another experimental test’ rather than ‘Einstein proven right’. I applaud you for at least taking a stand and writing to science mag to express your concern about the article. I think it shows courage that you tried anyway. I don’t necessarily have a problem with a science news story having a headline like that. Provided the news story is very factual and based purely on scientific data that is very accurate. Cormac, as i pointed out already, the scientific results from the gravity probe B team is flawed. After they got the data back from the probe in 2007, they spent 4 years studying the data trying to find ways to extract the result they were looking for. After spending 1.5 billion US dollars and 40 years research, they were going to extract the result they wanted no matter what. The gyroscopes are spinning and unless a force acts on the gyroscopes, they should theoretically “point” their axis of spin in the same direction forever, in theory!! But if Einstein was right, the axis of spin would change by a tiny tiny, put predictable amount. See if you can find out how they were able to “shield” the gyroscopes from the earths magnetic field? You won’t be able because its impossible to shield the influence of the earth’s magnetic field, 100% impossible. Also, see if you can find out how they were able to prevent “static charge build-up” on the orbiting satellite? You won’t be able because its also impossible to shield the satellite from high energy radiation hitting the satellite. As a result, the satellite was heavily influenced by magnetic fields and static charge build up. The news headline was not wrong. The scientific result is wrong, and its breezed over with all the fan-fare that NASA put out in glossy press release and pop-star style TV press conference. As usual we disagree: I read the Phys Rev paper, and as far as i can see, both factors you mention were carefully taken into account. This is what made it a difficult experiment. Also, it is not unusual for analysis to take several years, precisely because of the difficulties in removing systematic errors. It’s really a question of trust – I have no reason to doubt the quality of the work. More importantly, I think any massaging of the data would get exposed pretty quickly as the paper gets read. Interesting to conjecture what they would have printed if the experiment hadn’t produced evidence supporting the theory of general relativity. Would the Irish papers have dragged up old articles about the now deceased engineer Prof Al. Kelly? Any chink in the theory would be rewritten as proof that it was wrong all along and anybody who suggested it was wrong (even on entirely spurious grounds) would be “smarter than Einstein”. The press like their science snappy, simple and often wrong. Hmmmm…..You can bring a horse to water but you can’t make him drink it. I like cryptic crosswords, its fun to decode them. Some people don’t know how to decode them. Clue; The answer lies in the “Old Irish sod”. Shane; no doubt , but they would be wrong. These are tests of GR, not SR, about which Kelly, like so many relativity skeptics, had nothing to say! I watched the news conference live on Nasa tv and enjoyed the presentation. I was very surprised by what seemed to be a very high degree of plus or minus in the result that was said to have confirmed frame dragging. Any thoughts ? Thanks for the response, Cormac. Will the elaborate laser system planned for the Einstein Telescope in the UK have any ability to test frame dragging ? I know it is designed to detect gravitational waves from deep space objects but I thought it might be able to measure frame dragging given that it is advertised to be 10 times more sensitive than even the upgraded LIGO here in the US. Good question! I don’t think so, but I must check this! Useful Casimir effect for cheap spacelaunches. The Casimir effect is traditionally demonstrated by placing two thin parallel plates mere micrometers apart in a vacuum and letting them slam together. The effect is due to vacuum energy. It can in principle be used to modify the vacuum for cheap spacelaunches and efficient space travel, but that requires preventing the plates from slamming together, so that the Casimir effect remains. That can be done by repulsive magnetic fields or by mechanically holding the plates in the edges (only in the edges, to keep the space between them). Another possibility is to abandon the parallel plates altogether and use microchannels or other microscopic holes instead. Anyone is free to build it, I am not going to claim any patent or money. Doesn’t your article in the IT of 22/09, kind of contradict your post here? Hi Declan – no, it doesn’t. The gravity B probe experiment offers experimental support for relativity (actually the general theory). 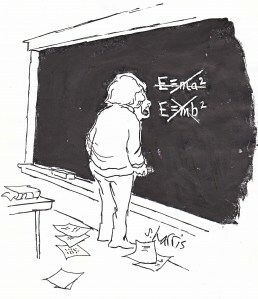 However, it doesn’t prove relativity is true, simply adds further support. The final results of the Gravity Probe B (GP-B) experiment for testing general relativity (GR) theory published on May 4, 2011 by NASA is somewhat controversial. Since GP-B scientific sensors have symmetric property about the satellite spin axis, we thus believe the measurement errors of both the geodetic effect and the frame-dragging effect should be close to each other. However, in the published results, the former is 2.5 times of the latter, which has not been explained by GP-B final report and thus shows that some physics is probably still missing or inadequately addressed in processing experimental data.